Over the years I have been a coach, I have encouraged many clients to keep a record of their struggles in the form of a simple anxiety diary. The anxiety diary is designed to be straightforward and is there only when you need to record something that registers as a proper trigger point and is not something you would use to write copious longhand notes. You can apply the diary principle to just about anything in your world. 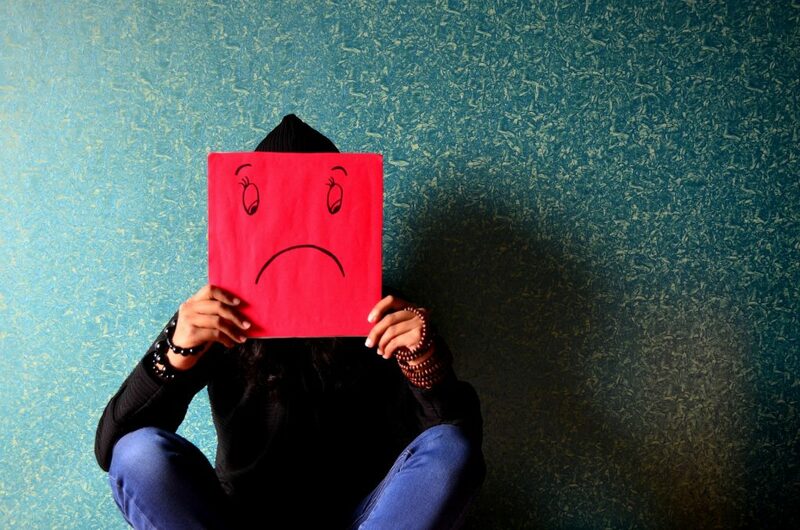 It could record periods of anxiety, stress triggers, lack of confidence & self-esteem, anger and so on. 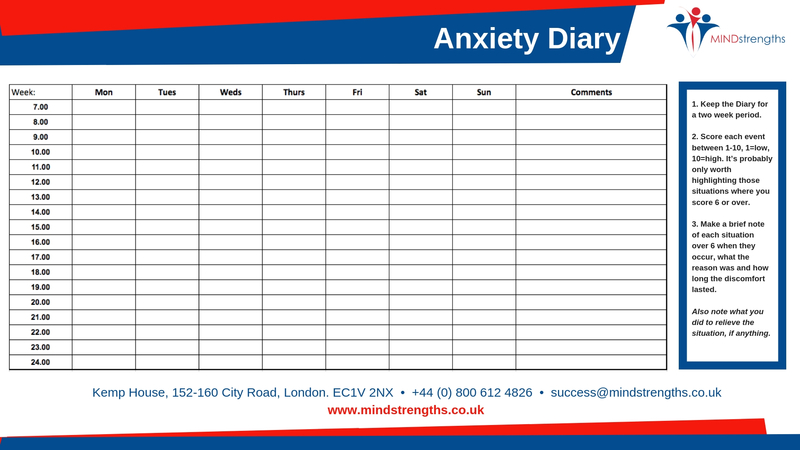 Whatever the purpose, this anxiety diary template has a wide range of potential uses. Before we get onto the workings of the diary, it’s worth explaining a few key points. If you can view this exercise as a quick tool to record something that has made you feel uncomfortable or ill at ease, then it’s for you. However, if you want to write in some detail about a particular event or situation (much like a blog perhaps) then this is not the vehicle of choice. To back up your anxiety diary findings, you must have access to an array of self-help material and/or a coach and be aware of what you need to do in order to change the situation, both now and in the future, to prevent reoccurrence. The diary of your choice should be kept for a minimum of two weeks, so that you can compare results over common days of the week. For example, you may have a trigger point at 10.00am every Monday, which could coincide with the weekly team meeting and having to present in front of your peers perhaps. When you experience some discomfort, quickly rate the experience between 1 and 10. Ten is the highest point on the scale, representing the most uncomfortable feelings you may experience. Anything from 1 – 5 you can generally ignore as “minor” feelings so you are really looking for any triggers that may register between 6 – 10. By eradicating the lower numbers, you have instantly removed any minor feelings which is a great trick, as these will no longer cloud your thoughts. If you find there are recurring themes each week or even every day, try to work out a solution before they swamp you and affect your working (and maybe personal) life. If this proves difficult, I would recommend moving to the next level. If you hit a brick wall and cannot find a way forward, try this supplementary focus. You have already identified the immovable object but cannot find a resolution. Jot down what you first tried to help with the situation (that may not have worked). Next, write down the “Barriers to Success”. What exactly is stopping you from resolving this problem? Is it a person? Is it a particular situation? Can you actually influence or change this particular situation? (more on that in a minute). 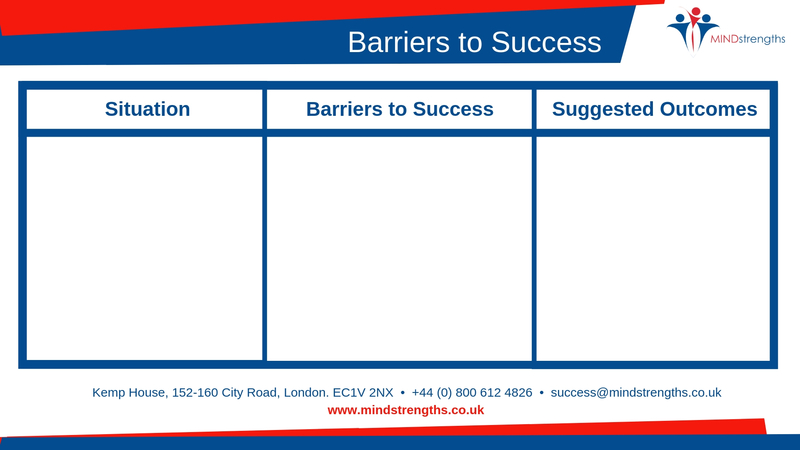 Once you have identified the barriers to success, have a good brainstorm and work out what the suggested outcomes could be. You may be surprised about how resourceful you will be at this stage. Nothing, absolutely nothing, is insurmountable. My own personal mantra for many years has been this. “If you can’t influence or change a situation then let it go”. We can come across many obstacles in our lives, some we can ride over and others that prove more difficult. It’s very true that we can’t always change something for the better, but we can sometimes influence the outcome to make it a bit more palatable. If your suggested outcomes cannot solve the problem for you, then maybe the situation is outside of your control and therefore you must accept it, work with it, or make the tough choice to move on. Back to the original anxiety diary template. Having kept the diary for two weeks, take a look at your scores and work down from the highest (10) to the lowest (6). Then prioritise those high scores one by one into an action plan. The golden rule is to only deal with one situation at a time, you will never right all the wrongs in one go so make a plan. Critically, the other major point to bear in mind is that you must allocate a time factor to resolving each point. And please remember that you will not necessarily fix these problems quickly, they will need some work, so don’t set the bar too high or you will defeat yourself at the outset. Be structured and realistic in your approach and get help if you need it. Finally, if you need copies of the templates, please visit FREE DOWNLOADS on this website.